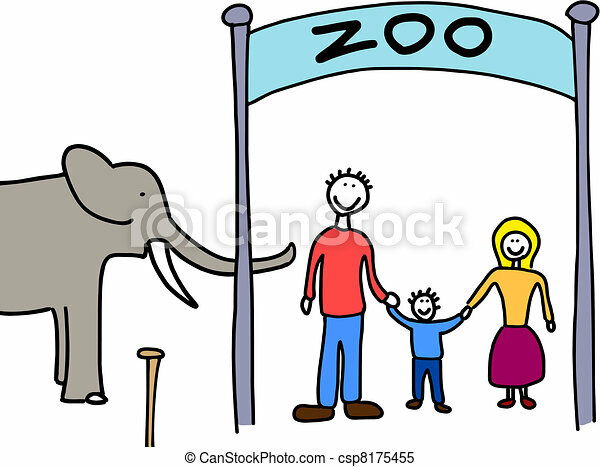 Family visit to zoo. Happy family: mother, father and child. weekend visit to the zoo. child-like illustration. Happy family: mother, father and child. Weekend visit to the zoo. Child-like illustration.